Christmas markets in Berlin over the advent period are the street festivals that shake the city all summer long. As temperatures drop, spati beers are traded for glüwein mit schuss and Bavarian style huts – mysteriously stored away somewhere deep under the city for 11 months – fill the streets, squares and parking lots of the city with festive cheer. 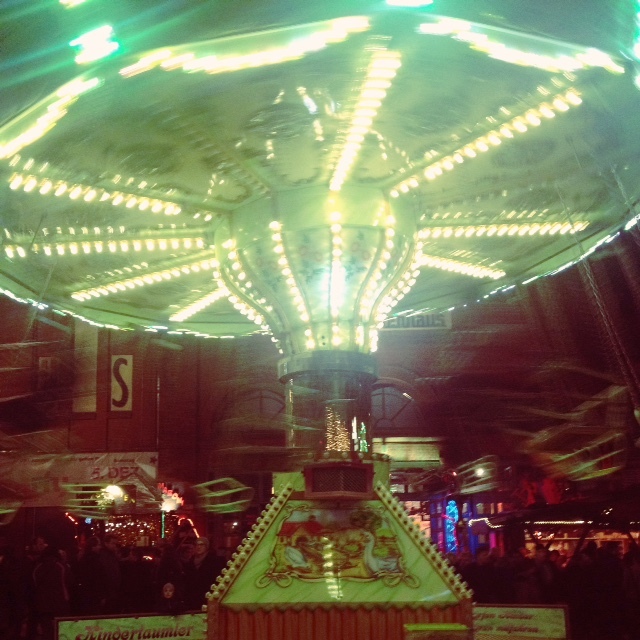 Bright lights and rides at the Christmas Markets in Mitte. Whether you’re after a fix of lebkuchen, riesenfrikadelle or quarkballs there is no shortage of grandiose Christmas markets to titillate your taste buds as well as a huge number of hipster popup markets to explore. With most markets wrapping up on Christmas Eve, you’ve got two weeks to explore these favourites. The shiniest of them all, the Gendarmenmarkt in the heart of the city, with its Rockefeller Centre style tree that shines between the Deutscher and Französische Doms. With an array of restaurants and bars in conjunction with the traditional street vendor favourites, this market is great on a cold and wet day as there is an indoor market under the centre marque. If kitsch lights, arcade games and Theme Park rides is what you’re after the Alexanderplatzmarkt is where you want to go. 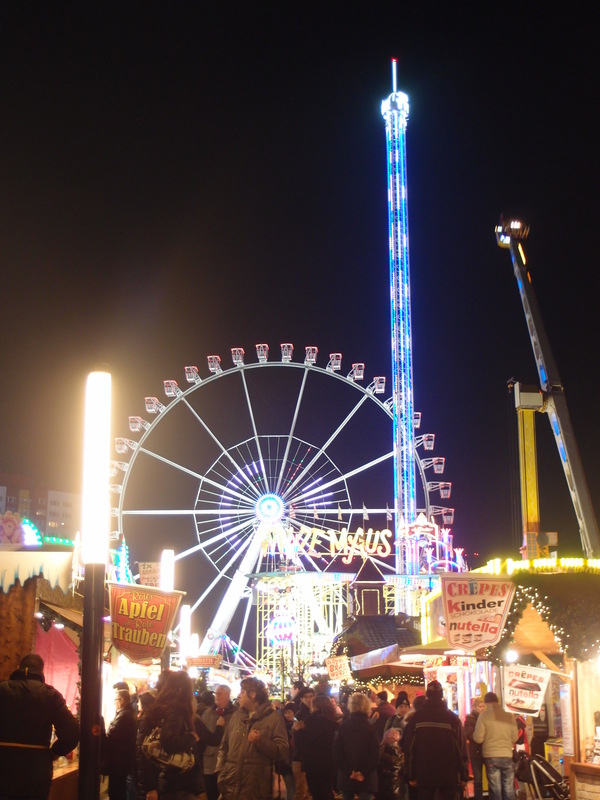 Running through the centre platz from the Galaria building across the tram tracks and to the edge of the Alexia Centre, you’ll find all the stereotypical Christmas market favourites including decorations, games and enough bratwurst to cause a heart attack. From here, it’s just a quick slip across the road to the theme park that has rides from the Mad Max right through to the char-char and Haunted House. A large Ferris wheel arches over the park lighting up the night sky. Despite the grey skies, you can see a great views of the city from atop the ferris wheel. If there weren’t enough markets in Mitte, the Weihnachtszeit in the shadows of the Fernsehrturm and the Berliner Rathaus almost joins the Alexanderplatzmarkt and Gendarmenmarkt into one big market. With a large, enclosed Ferris wheel you can see phenomenal views of the city and gain a birds-eye-view of the surrounding market area. Including a sizeable ice-skating rink and some of the best glüwein on offer, this market is more relaxed and beautiful than many of the other, large markets and there are also donkeys, yes donkeys. The Scandinavian themed market is filled with much of the standard German favourites, gingerbread, bratwurst, glüwein and grünkohl but in the smaller and cosier area of the Kulturbrauerei courtyard in Prenzlauer Berg. With a few Nordic stalls selling native produce, there are many children’s rides and alternative mulled wine brews to sample. 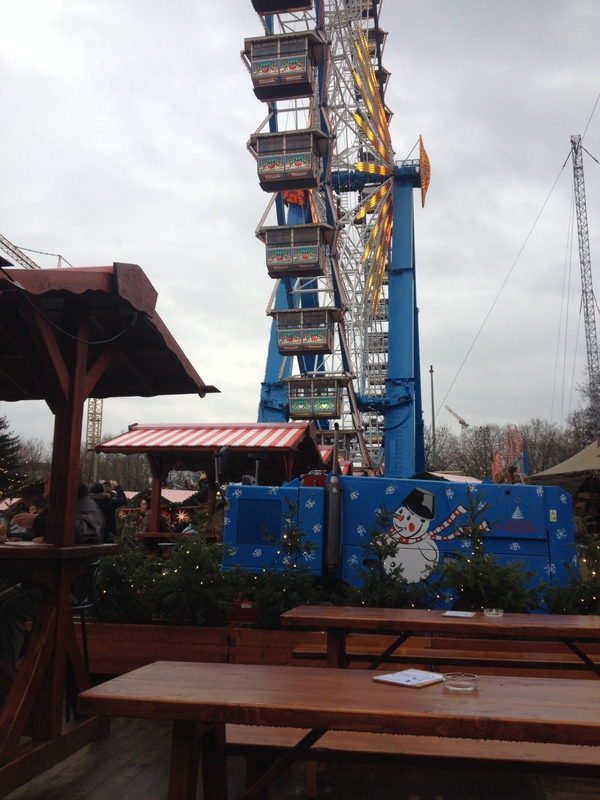 Winterdorf at Arena Berlin includes a special Japaneschiers markt and weekend long events running throughout December. This floating market serves up some alternative Christmas treats giving a much-needed break from the heavy, traditional meals of this time of year. Rug up as it can get pretty cold on the banks of the Spree and enjoy the delicious treats on offer. Inside the Weihnachtsrodeo meeting with local designers and creators. There are also many pop-up and weekend design markets to see some of Berlin’s best and most interesting designers. 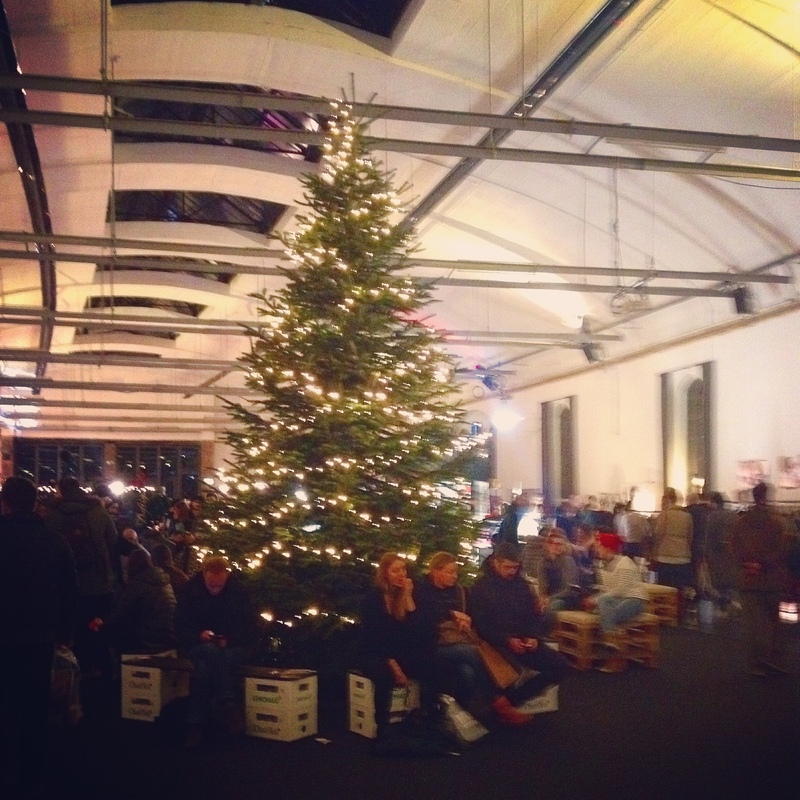 I can recommend the Postbahnhof am Ostbahnhof which plays host to the Weihnachtsrodeo which features crafts from local designers as does KAOS and the Halleschers Haus market. 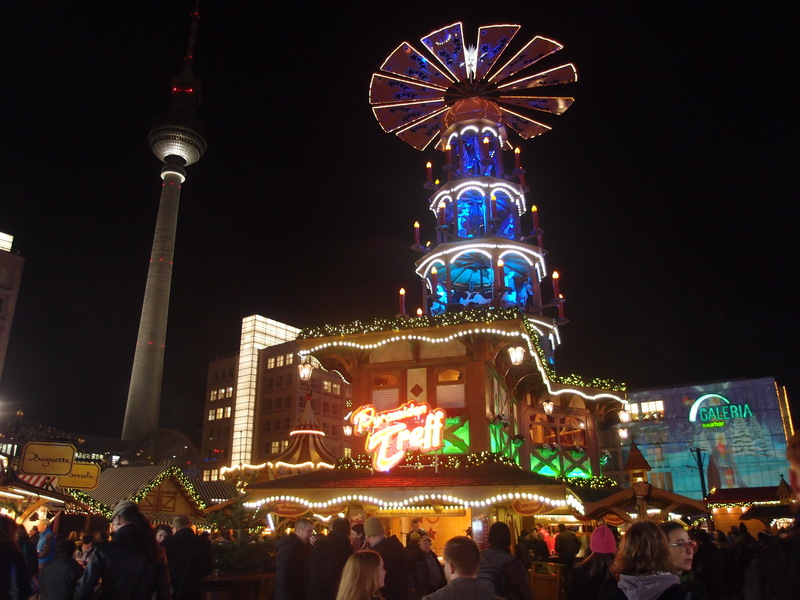 To find out about all of the major Weihnachstmarkt this year check out the Visit Berlin website.